Teddy Bear Hello Kitty. This is Hello Kitty with a teddy bear. 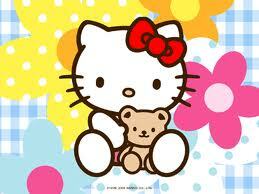 Wallpaper and background images in the Hello Kitty club tagged: hellokitty sanrio teddybear.